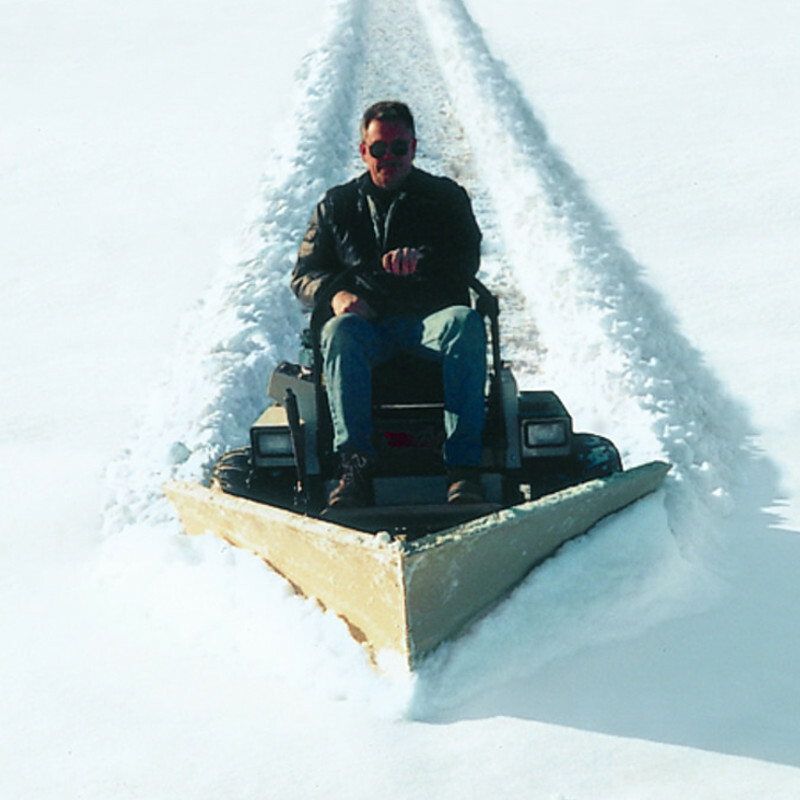 The V-Plow retains Grasshopper True ZeroTurn™ maneuverability for no wasted motion, even in heavy, wet snow. 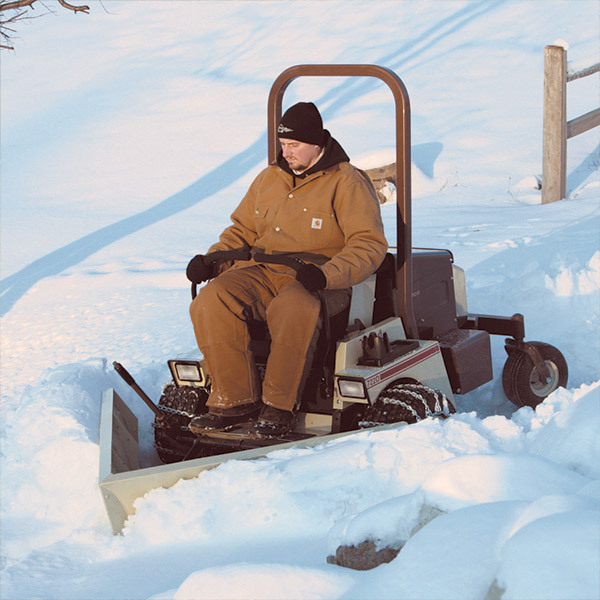 The front-mounted V-plow attaches in place of the out-front mower deck on Grasshopper FrontMount™ zero-turn mowers and features reversible/replaceable blades, a hand-controlled lift that raises the implement and a lock for one of four transport positions. Klein's Blue River Power And Rental Llc is your authorized Grasshopper dealer selling and servicing the complete line of Grasshopper MidMount™ and FrontMount™ mowers for turf care professionals, business and government entities, and homeowners.